Sorting out the damage caused by fallout to a Limousine. 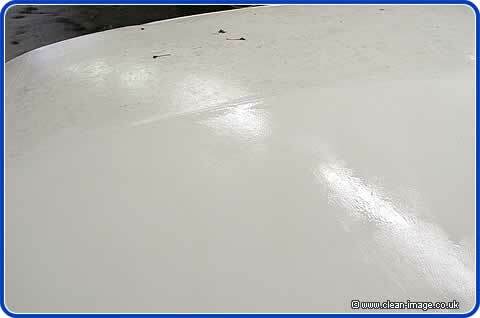 I have lost count of the number of times we have been called by limo hire companies asking us if we can do anything with the white vinyl roofs of thier cars as they do have a tendency to look tatty after a while. This roof had been re-dyed at some point. This new dye was now stained and was peeling or going powdery -- this made it absorb dirt making it look very grubby. Usually they want us to recover them or recolour them - our answer has always been that we couldn't do much with them once they are stained. But recently we were approached by an insurance company who asked us if we could do anything with the roof of a car which had been damaged by fallout from a fireworks display. 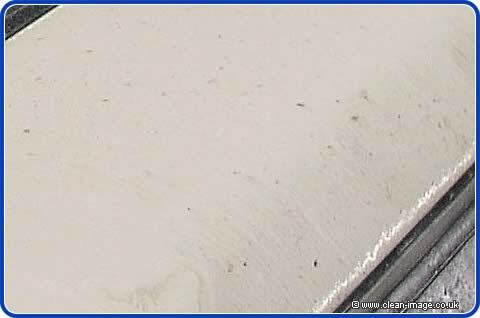 There are many stains on the roof caused from the fireworks, but also by tree spap and other organic matter. Well, it's been a while since anybody last asked and we have since got some new products and some new tools and so we told them that if they got the car down to us we would give it a go. 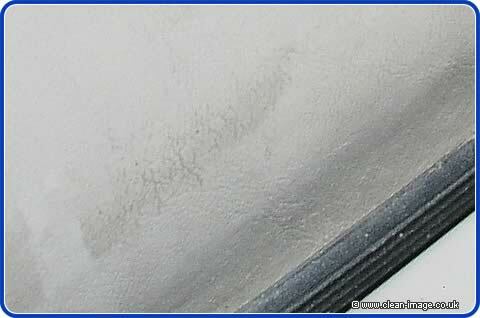 We used various paste polishes and a special attachment to buff the roof until all the grime was removed. So we tried our best and the end result was even better than we expected. Both customer and insurance company were satisfied with the job. This photo shows the half nearest the camera havining been completed. The other side of the roof is yet to be done and shows many dark blotches and stains. 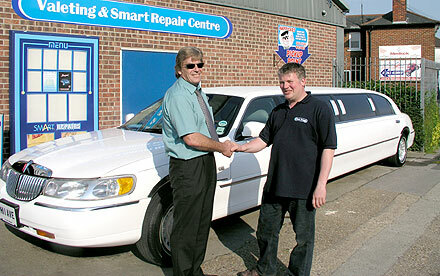 "After suffering fallout from a large firework display my limousine was left in a sorry state. I claimed on my insurance for a respray and new vinyl roof. The inurance comapany said 'take it to Clean Image', I didn't think they could do anything. They had the car for six days letting me use it in between. The result was very good, not perfect, but then, it's not a new car. I will recommend them for their work, freindliness and advice. Thanks for your hard work. " UPDATE: Ripped, Torn and Damaged Roofs? We still get enqiries asking us if we can do something about damage to limosine roofs and Rolls-Royce Everflex roof coverings. Unfortunately, we can't but we have hunted down someone who can. Barton & Son coach trimmers will not only do them, they have many years experience in doing them. Unfortunatley repairs on PVC roofs are seldom possible, but they can custom make replacements. 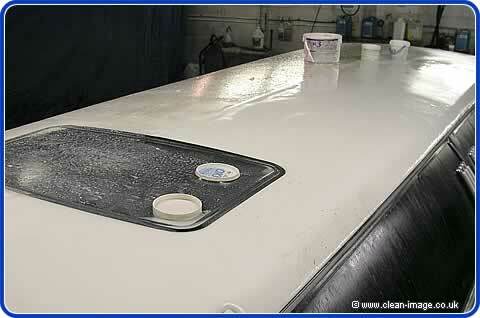 We were quoted £800 to replace a Rolls-Royce Everflex roof.